Finished reading Pride and Prejudice the other day. Loved it! A happy ending is always nice and it was all wrapped up so neatly, sometimes that's refreshing. No loose ends to ponder, just a good story that worked out in the end. Now I have the movies to look forward to! I rented the Keira Knightly version and can't wait to watch it tonight. We'll see if The Husband will give in and watch it with me. I figure that he owes me since he's been away the last two weeks! I'm trying to figure out when to watch the A&E version. How does one find time to watch a five-hour movie... break it up over several nights or a Saturday marathon!? Hmmm... we'll see! 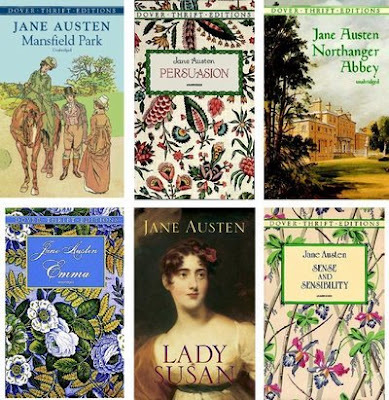 Now, which Jane Austen book shall I read next? I've heard good things about all of them. Recently I've heard several people claim Persuasion as their favorite. What do you think? 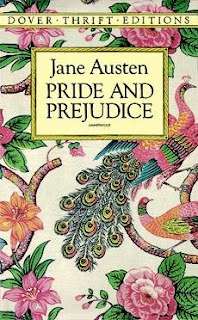 You were all so nice to chime in on my Pride and Prejudice decision, do you have a favorite Jane Austen novel? 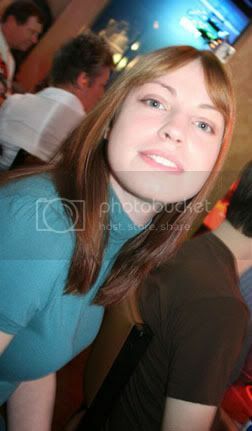 This is Bonnie Tautkus - I hope you don't mind my looking at your site and commenting - WOW!!!! You are amazing! Congrats on reading Pride and Predjudice, one of my favorites (everyone's lately too, huh?) My next favorite is Northanger Abby (but most people would disagree with me). I love how it makes fun of herself and other novelists/people in her day and age, I also love the innocence and simplicity of her heroine in it. However, the most fun for you to read next would probably be Emma or Sense and Sensiblity - Both are great - Emma is more funny and S&S more serious IMO. I think the reason these three are most popular is that they are the most seamless. She kind of digresses in some of the other novels to make certain points instead of making the story flow continuously. Persuasion is also good, although I thought it was more steady and less interesting because you know from the get-go everything about the characters, you just get to see them progress instead of getting to know them better. Sorry - long comments for an interloper! Enjoy! It was good to see you at Enrichment the other night. I miss having you around! Mansfield park. But they'r all good! I am compleatly hooked om 18th century novels. I can recommend The Brontë sisters. Wuthering heigts by emely and Jane Eyre by Charlotte.